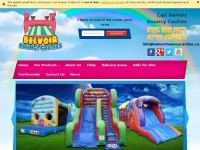 For top quality bouncy castles, inflatable slides and soft play party packages in Nottinghamshire. 10. Obstacle Cour­ses & Sli­des /cate­gory/obstacle-cour­ses-and-slides#BodyCon­te..